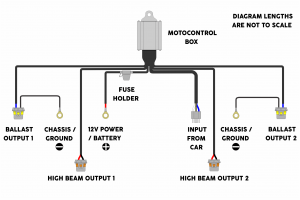 1) The diagram to the right is the standard use and proper installation of the Morimoto MotoControl Bi-Xenon harness. 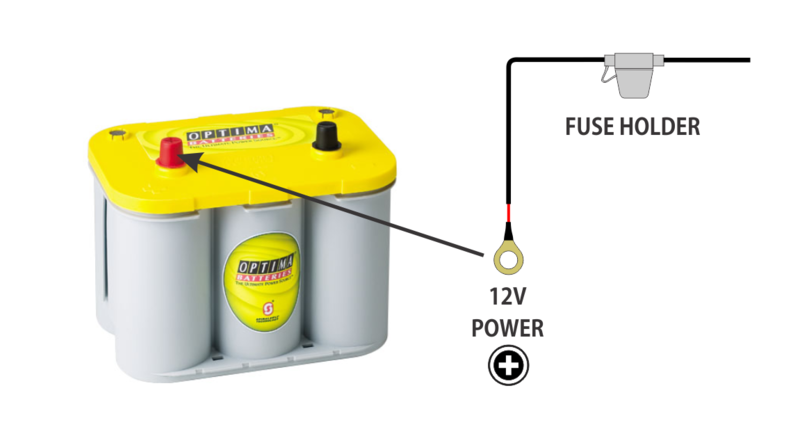 2) The 12V+ Power lead of the harness needs to go directly to the pos itive terminal of your vehicle battery. 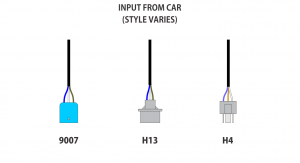 NOTE: If you have a battery not easily accessible from the front (mounted in trunk or on firewall), you should have a 12V+ jumper terminal in the engine bay you can run this connection to. 3) Ensure you have the grounds to bare metal and not a plastic surface. 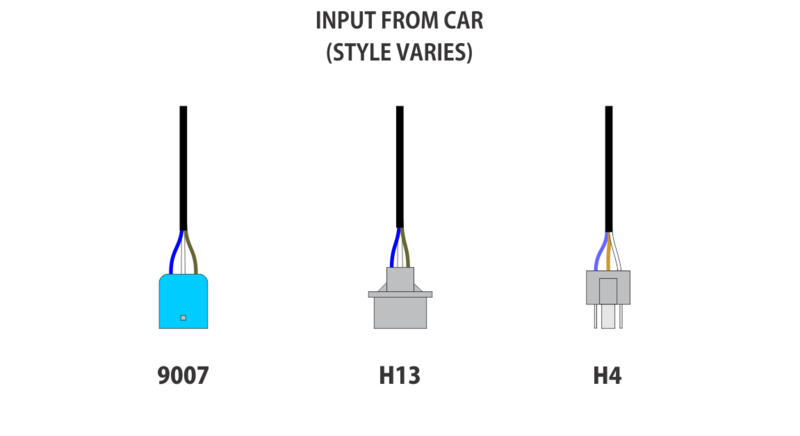 4) The harness input plugs into the original headlight connector on the side closer to the battery. 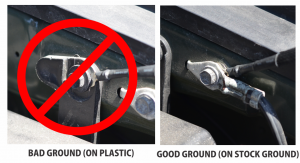 The headlight connector on the side further from the battery will not be used and can be capped off. 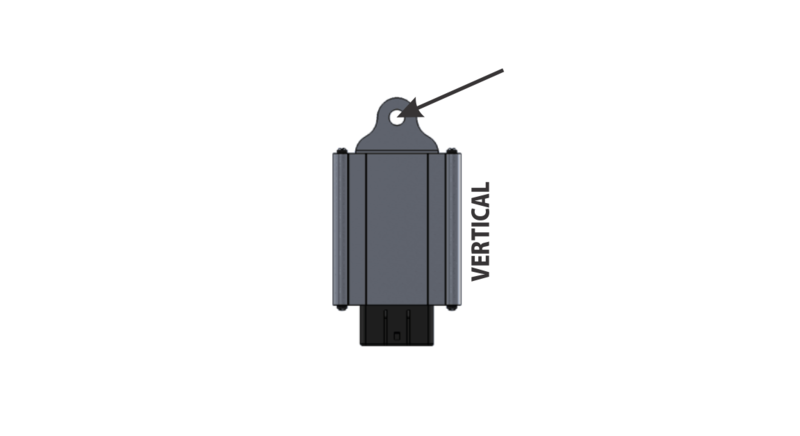 NOTE: As this input connector cannot be waterproof, we recommend adding dielectric grease to all pins to minimize likelihood of any corrosion of these pins. 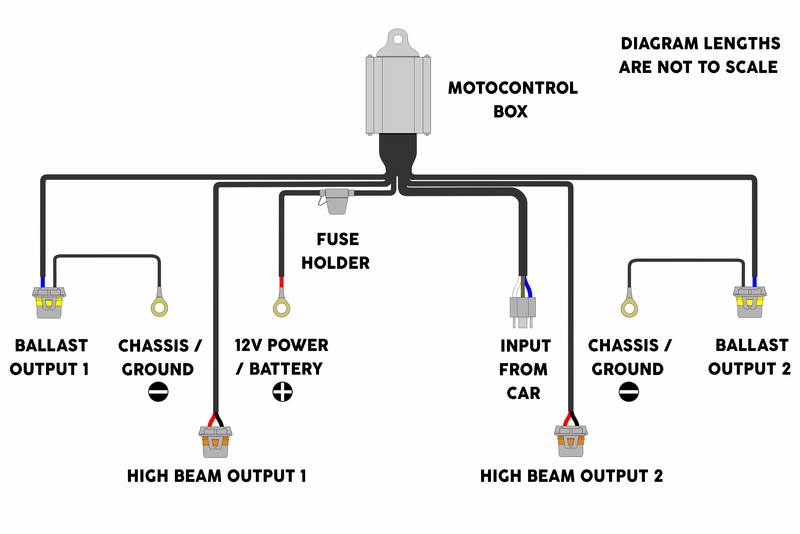 5) The MotoControl box should be installed on the vehicle by hanging it from the indicated mounting hole. 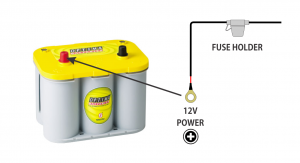 This minimizes the chance of water entering the box which may cause failure. 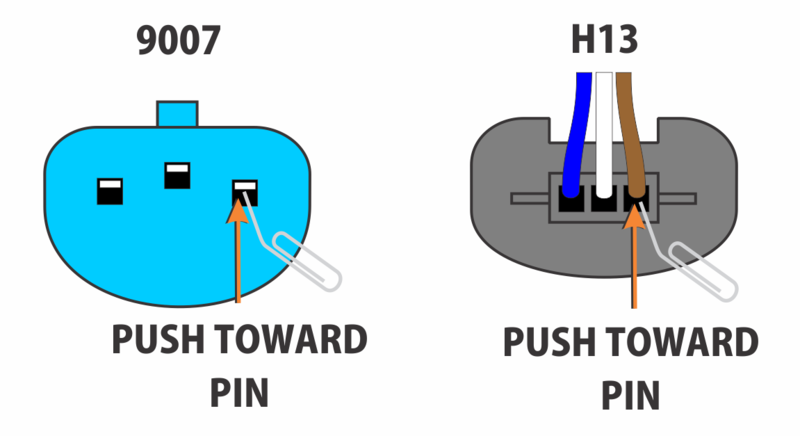 6) If you have the harness working but not in both modes (low and high), you may need to swap some pins on the input of the harness. 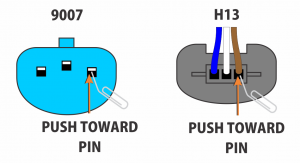 This can be fixed easily by de-pinning and swapping the wires around on the input of the harness using a tiny flathead screwdriver or unbent paper clip as shown.